We compare and analyze the contributions, styles of business, careers, personalities, and leadership qualities of one of the most well-known business rivalries in the past few decades. In the early years of business in the late 1970s, when Apple and Microsoft were in their formative years, there was no rivalry between Gates and Jobs. 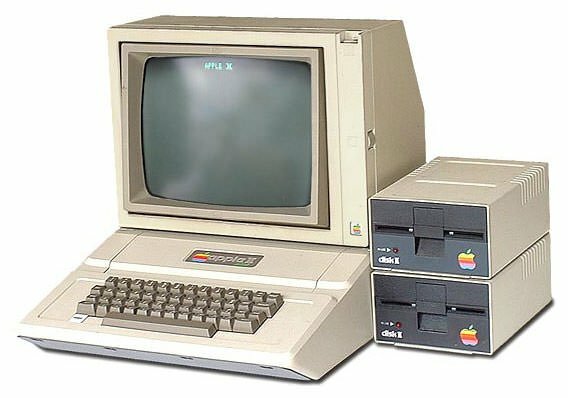 Microsoft made software early on for the mega-popular Apple II PC and Bill would often fly down to Cupertino to see what Apple was working on. Apple was in the business of making computers (or hardware) and Microsoft was into making programming languages initially and then operating systems (or software). Essentially they were in different businesses but that would change when Apple would come up with its own OS and Microsoft’s OS would help other computer manufacturers to challenge Apple manufactured computers. A simplistic way of looking at the two companies (at least till Jobs and Gates were in charge) would be that Apple made hardware products and started making exclusive software for the products while Microsoft made just software that would run on hardware made by other companies, including Apple in the early days. 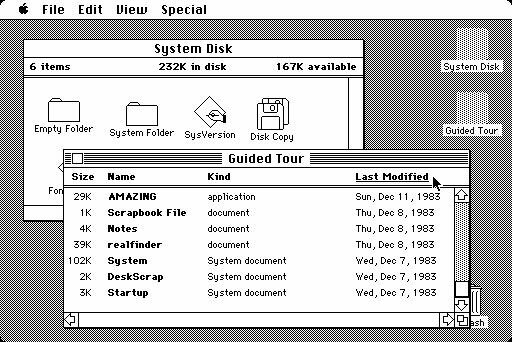 In the early 1980s Steve Jobs was working on his Mackintosh project and was very excited about the Graphic User Interface he had picked from Xerox PARC project. Jobs met up with Gates during this time to discuss the possibility of Microsoft making software for Mackintosh and both worked together in the initial years of the project. Gates remembered the visit saying, that Jobs was in one of his “sales mode”, that says “I don’t need you, but I might let you be involved”. The Mackintosh released in 1984 to rave reviews. 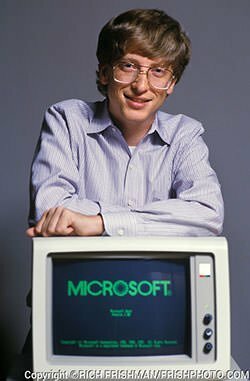 In the success of Microsoft, Bill Gates may be analyzed as an astute and shrewd businessman with ability to make quick and effective decisions. Examples include his deal with IBM and the launch of Windows and Windows 95. His leadership is more inclusive and he was willing to go through the process and be patient. He understood the nuances of business and was willing to adjust and adapt in order to succeed. Gates was far from spectacular and perhaps even boring, but he was meticulous, open, simple, practical and reliable. Where most would have thought of hardware (machine), Gates made operating systems among other software (or the fuel for the machine) and licensed his software to all computer makers. Thus various PC vendors at various price points used his OS and software making him the youngest self-made billionaire in the world at the time and the richest man in the world a few years later. Bill had a dream to impact the world by bringing the PC on every desk in every household and he gained significant traction and success since his early years. Steve Jobs, on the other hand, wanted to change the world through remarkable products and that is what he did with Mackintosh, iMac, iPod and the iPhone. Steve was more autocratic in his leadership and liked to be in total control. The companies he led were largely driven by his ambition and personality. 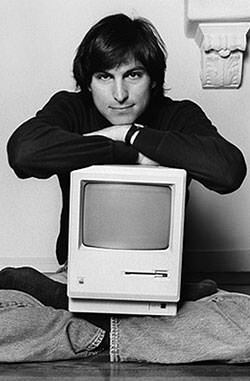 Jobs’s philosophy was of controlling the entire user experience from top to bottom. He was perceived as harsh, cocky, closed and demanding to work with. He had a creative design mind-set and would go to great lengths to bring his design ideas to life. He was motivated to make an impact on the world and knew the importance of risk taking, making him one of the biggest risk taking business leaders of modern times. He was a great motivational speaker with the ability to inspire and get people interested in something. Steve Jobs, the leader, will be remembered for his remarkable turnaround of Apple and the phenomenal cultural impact of his innovative designs on the modern world. It would be safe to say that Microsoft was always a successful company since its inception in 1975. 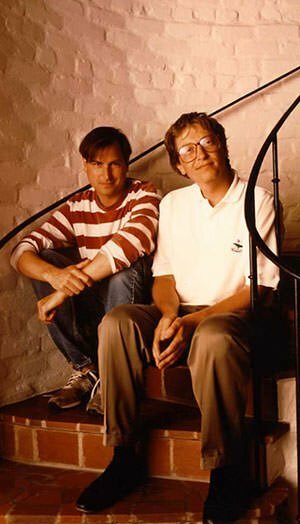 It slowly and surely increased its worth climbing the ladder of success; with Altair Basic it became the preferred programming language in the initial years, then DOS and windows operating systems became the default OS of the industry making Bill Gates the youngest billionaire in 1987 at the age of 31. Then came Windows 95 which made Bill the richest man in the world and he has stayed among the richest since then. Microsoft reached its all-time peak in market capitalization in December 1999 when it was worth $618 billion ($919b in 2018 money). By contrast Steve Jobs and Apple had a bumpier ride. After the success of Apple II, Mackintosh, though a great product, struggled to beat its cheaper IBM competitors. This led to Steve Jobs having to leave Apple and opening up NeXT Inc. in 1985 but things were still not looking up. In 1986 Steve Jobs invested in Pixar which would be a handsome investment in a few years and yield him close to $7 billion in 2006 when Pixar merged with Disney. In 1996, Apple was going bust and it recalled Jobs in a final effort. With a surprise $150 million infusion from Bill Gates, Jobs reduced Apple’s product line, focused on quality and made a great advertising campaign to miraculously overturn the fortunes of his company. In the next century as Bill Gates began to withdraw into philanthropic roles with his charity Bill and Melinda Gates Foundation, Steve focused on breaking into new waters. The iPod debuted in 2001 and was followed by the iPhone in 2007. Steve Jobs accomplished his dream and Apple would be the first American company to touch a market cap of $1 trillion in September 2018, 7 years after his death. 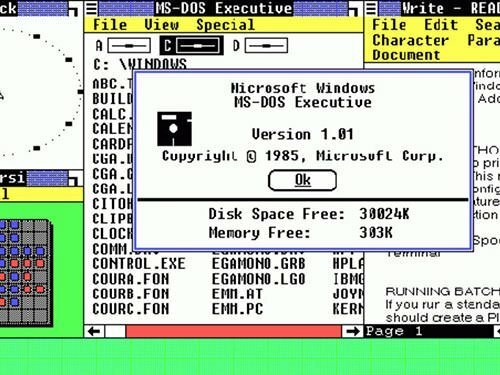 The fierce competition and rivalry between Steve Jobs and Bill Gates first came to boil in 1985 when Microsoft announced their own GUI with Windows. Since then many things were said by both Steve and Bill, which may give us a much deeper insight into their rivalry. In 1996, Jobs appeared in a documentary called Triumph of the Nerds and said that Microsoft makes “third rate products”. “Bill is basically unimaginative and has never invented anything, which is why I think he’s more comfortable now in philanthropy than technology,” Jobs told Isaacson his biographer. The quotations are mostly sourced from Walter Isaacson’s authorized biography on Steve Jobs.